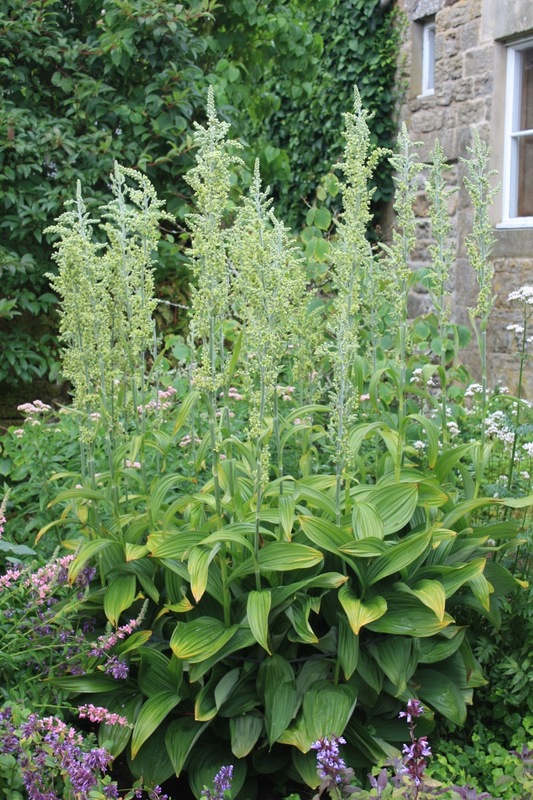 One of my favourite sculptural plants, Veratrum album, is also a pretty nasty poison, with a long history of accidental and deliberate death. 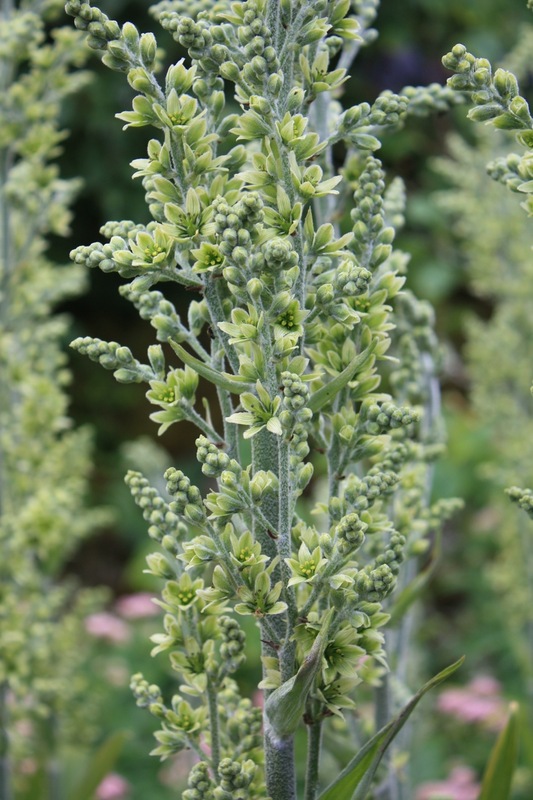 Alexander the Great is thought to have inadvertently poisoned himself by imbibing false helleborine, in the belief that it might cure diarrhoea. Americans indians used the plant as part of the ritual of finding a new tribal chief. The contender whose stomach withstood the purgative effect the longest was deemed the strongest and fit to lead the rest. Just breathing in the alkaloid-heavy scent of the flowers induces sneezing and can damage the nasal passages. A magnificent, statuesque perennial for woodland gardens, but best admired from afar. Pictured here in the physic garden at Herterton House, Northumberland. More poison! It is a miracle I get through the day alive. Leaves are my favorite bit. I agree, the leaves are the best part. Do you grow these at Cliffe? I have a couple of very young plants that don’t seem to have moved at all this year, what do you think – too dry earlier on? Might be? I think they like it cool and moist year-round.